When the mercury in the thermometer starts to head toward triple-digit territory, most homeowners are happy with their decision to install a swimming pool in their backyard. Jumping in a cool pool is the perfect antidote to summer’s hottest weather. Those sweltering temperatures are right around the corner. So the last thing you want when the weather turns hot is to have a pool that is dirty, cloudy, or out of service altogether. The time to schedule your regular pool maintenance is right now. Setting up service for your pool before the hottest weather arrives guarantees your cool relief will be there when you and your family need it. One of the best things about living in Florida is that it’s warm year round. But the dirty dark side that the travel brochures fail to mention is that during the summer that same heat can transform from a blessing into a curse. In July and August, when the temperatures are high and the humidity is approaching 100 percent, it can be pretty uncomfortable outside when you live in South Florida. That’s the exact reason why so many people have backyard swimming pools at their homes. Having a pool to jump into to escape the heat isn’t a luxury, it’s a necessity. So it’s important that your pool is ready when you need it. 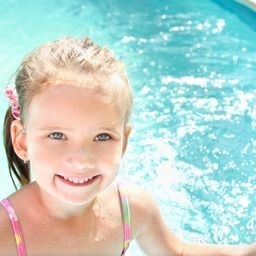 Call Eagle Pools today to set your regular scheduled pool cleaning and maintenance for the summer. Our experienced, knowledgeable technicians will keep your pool in optimal condition all summer long. You will never have to worry about having a dirty pool, cloudy water, or broken or damaged equipment because we will take care of everything for you. When this summer’s hottest weather arrives, you will be glad you made the call.